The Wrong Crowd is Theatre Royal Plymouth’s first Resident Company. They make visually-inventive, emotionally articulate theatre for cross generational audiences. Fusing live action, puppetry, physicality and music they tell powerful stories which enliven the senses. They aim to awaken the imagination, inspire a sense of play and remind people of the wonder of live theatre. The Wrong Crowd was set up in 2011 as a collaboration between director/writer Hannah Mulder, designer/puppetry director Rachael Canning and producer Bonnie Mitchell. We caught up with Rachel and Bonnie to talk about the next show they are bringing to Plymouth, Kite. What is Kite all about? The story is of a young girl whose mother has recently died, being sent to live with her grandmother. Both are struggling to come to terms with their loss and are grieving in isolation. One night our magical kite comes to life and so ensues a journey through night-time London, that ultimately helps both remember what it is they have in each other and learn to be brave enough to love again. Rachael: Working on a production of Kes at Sheffield Crucible I used a kite as the kestrel at one point. It gave such an emotional aspect to that union that I immediately came back to The Wrong Crowd and suggested there was definitely something in kites we should explore. Given that it is a production without words and involving an object with its own character etc, what were the differences involved in the creative/rehearsal process? with movement in a way we haven’t done previously, in terms of movement as story telling and we very much used that as the basis, and then music was created around that movement and then come tech week everything came together – movement, puppetry, object manipulation, lights and sound – all for the first time. Did it bring new challenges? Making a play without words has required us to make sure lighting, sound and action are all completely synced in order to give true emotional impact and it’s a different way of crafting the story for us. Rachael: As visual theatre makers, and in particular coming from a background in puppetry direction, it’s a very natural development to make a show without text. I feel like less is more. I’ve always enjoyed silent films. I think it allows your imagination to engage more. Like puppetry does, it makes you as audience work harder. There’s a story yes, but there’s also ambiguity where you the audience can fill in the gaps. Which is something we’ve done before, especially with our puppetry, but in Kite we’ve taken it even further by taking out all of the text. I think it takes things to a more emotional level, because you are having to work harder as an audience. Themes of the show – what has it been like dealing with issues of bereavement etc. for ages 7+? Something brilliant happens when cross-generational audiences experience a piece of theatre that resonates with them both. This has always been important to us Wrong Crowders, and remains so today. Theatre is absolutely the right place to be tackling serious and difficult issues especially for cross generational audiences and in particular about issues like bereavement that effect so many people but often isn’t spoken about. It’s something that we have all experienced in our own lives and realize that its going to resonate with young people and with older people. It’s so important not to dumb things down and make the work accessible and relatable. How important is the use of music throughout the production? Massive. Music controls our emotions in a very deep way. In Kite music enhances our sense of where we are, as well as the often complicated and conflicting internal emotional state of our characters. We use music to punctuate, to transition, to create place, feeling, pace and energy. It’s the bedrock of the show in a way. What would you like the audience to take from the production and how do you think they will react/respond? Rachael: I hope it will provoke conversations between grandparents and grandkids, parents and kids, between friends. I think they’ll be moved, they will have been taken on a journey and feel inspired to be playful, to do something that exercises their imagination further. moved and feel very sad, and we think lots of people will see a lot of magic in the show. And hopefully it will inspire people to communicate and play. 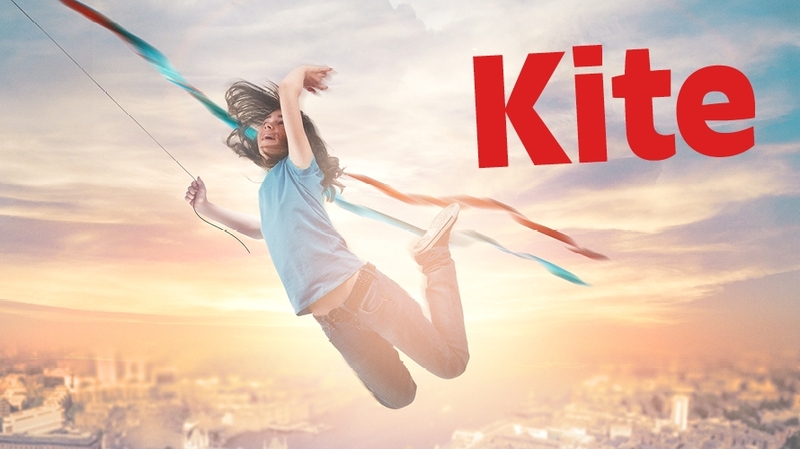 You can catch Kite at Theatre Royal Plymouth from Tue 02 – Sat 06 April, with tickets just £10 each, why not bring all the family.